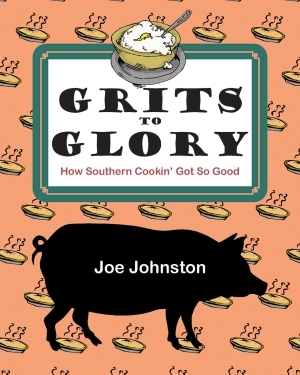 Explore the finger-licking history of Southern food! Travel through a folksy history of Southern cooking from the best fruitcake recipe before the Civil War to the ultimate Southern kitchen essential, the cast iron pan. Joe Johnston’s cultural history brings reminiscences from his own friends and family but is not at all lacking in thoroughly-researched historical anecdotes. It is sprinkled with valuable stories and quotes from Southerners who really know their stuff! This book is for those from every Southern walk of life, but is also particularly appealing to those simply fascinated with cooking, history, and anything in between! With every detailed recollection, the heart and soul of Southern cooking shines through. Joe Johnston is a multi-award winning author, musician, artist, historian, advertising executive, and journalist. He is a native of Missouri and a lifelong outdoorsman. A true renaissance man, Johnston has published numerous books; holds national credits in marketing, music production, and film; and was the inventor of the now-famous McDonald’s Happy Meal. In addition to his fascinatingly diverse and prolific career, he leads a full life as a father, husband, mentor, volunteer, and Native American. Grits to Glory - a family treasure! This book is a family treasure! I enjoyed reading about the history of many of the foods my family has enjoyed. Thank you, Joe Johnston! Fascinating and well-researched history of Southern cooking filled with stories, pictures, and anecdotes sure to bring back memories of your grandparents - even if they weren't Southern! Click here for Chapter 1. Click here for index. Click here for Chapter 1. Click here for index.